Dorsey Pouf is a tufted ottoman bed with a quilted decoration that recalls the art-deco style. 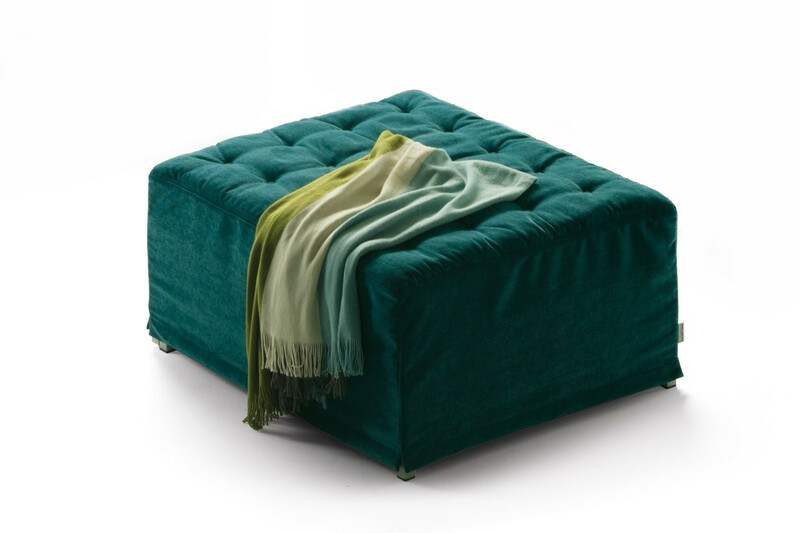 The external cover enhances the ottoman look hiding the bed structure at the same time. 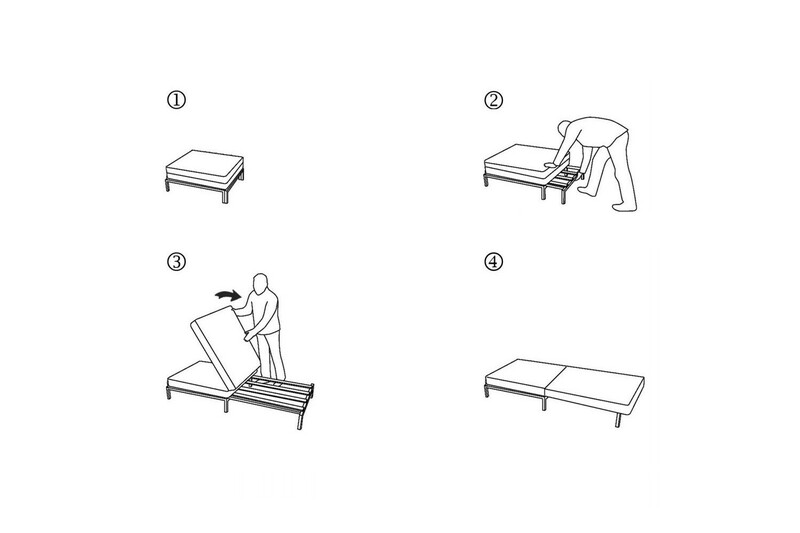 To open the bed base you only have to pull the mechanism, without having to lift it from the floor, and then unfold the seat cushion to obtain a bed with a single, French or standard mattress. This easy to use opening system prevents the mattress wear, because when using Dorsey as ottoman, you never seat directly on the mattress. Dorsey Pouf cover is completely removable. It is available in fabric, leather or eco-leather in several colours displayed in the samples page. Dorsey can be completed with a cm 75x45 pillow in fabric. leather or eco-leather, useful when you use the ottoman as bed. Mechanism: high resistance furniture tube, oven coated with epoxy powders in an embossed aluminium colour. Orthopaedic bed base. Mattress: h.11 35 kh/m³ expanded polyurethane, covered on top with 100% cotton fabric, part of which quilted with 100% PL wadding, 200 g/m² resin fibre, and nonwoven fabric; on the bottom with 2,5 mm 3-layered interliner. Bed Base: steamed beech wood curved slats. Cover: 400 g/mq resin 100% polyester wadding, polyester / cotton bottom cloth. 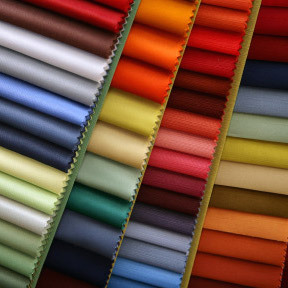 Fabric: characteristics specified in the samples page. Tips: push and pull the mechanism without lifting it from the floor.